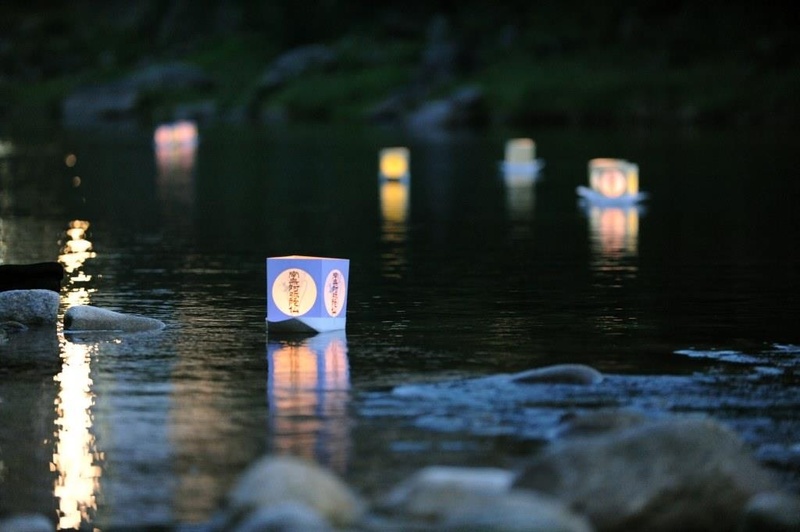 "Tankororin”lantern festival, candles along the river, fireworks etc. An old townscape and Korankei gorge. Take Toyota Oiden bus bound for “Hyakunenso” from Josui sta. of Meitetsutoyota line, get off at “Korankei”. Walk 3 min. Etchu Yatsuo “Kaze no Bon” is coming to Asuke, Toyota City, Aichi Prefecture! 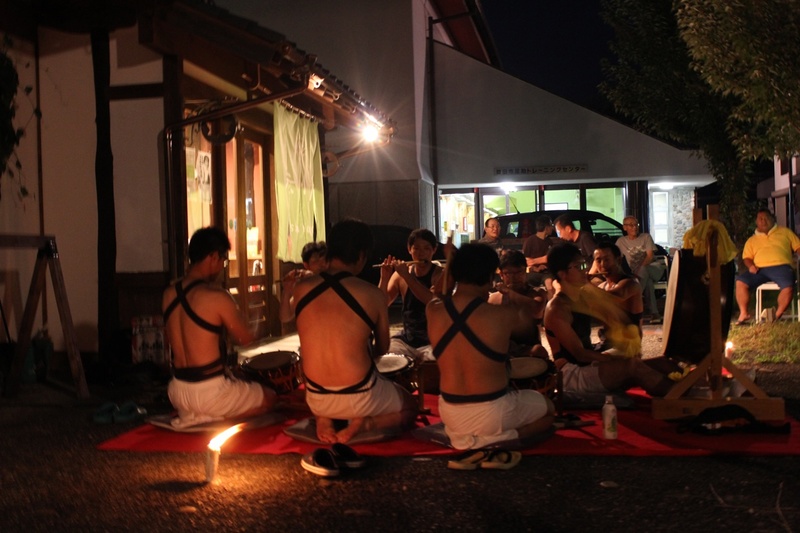 On 8/13/18, you can experience the “Kaze no bon” festival in the town of Asuke, near Nagoya City, under the “Tankororin” lights as dancers will dance from street to street in the dusk. 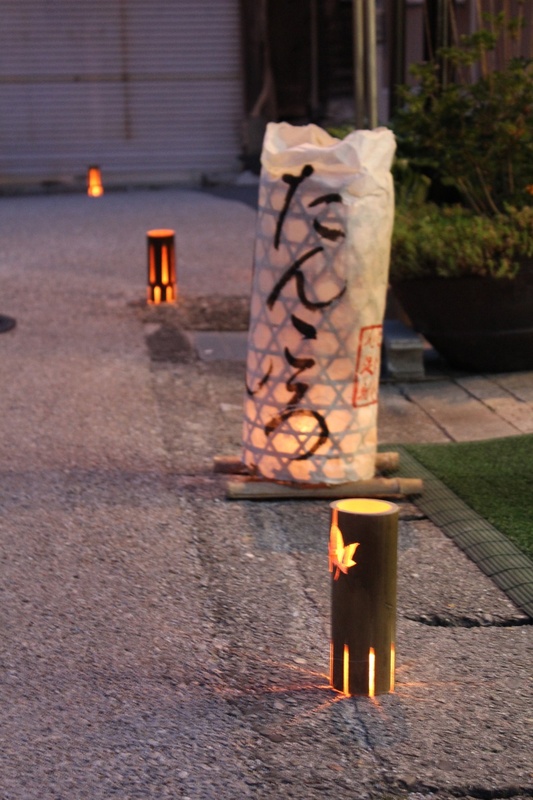 This “Tankororin” lights, traditional lanterns made with rice paper and bamboo which are placed throughout the town of Asuke, will amplify the festival night atmosphere as well as adding illusionary effects on the dancers. This will be a special one summer night experience in this old reserved town. What is Etchu Yatsuo “Kaze no Bon”? *Etchu—Old name of Toyama Prefecture, which is located between Sea of Japan and Hida mountains in main island of Japan. 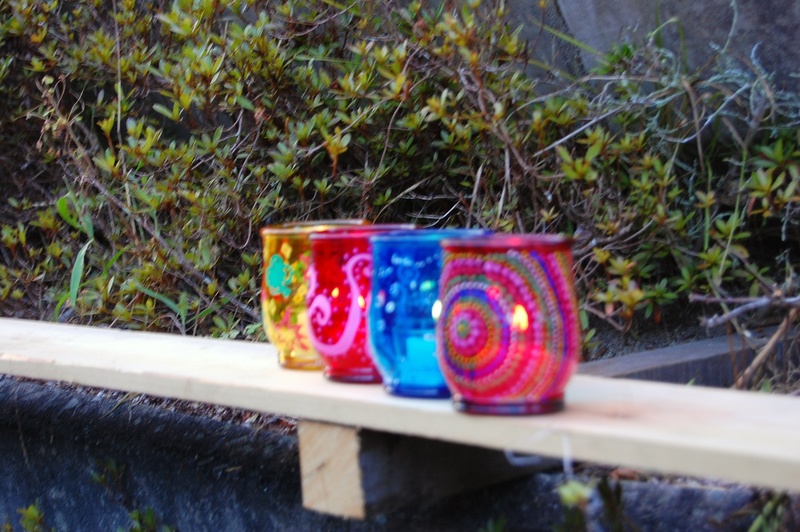 *Yatsuo—One of a local town in Toyama, Etchu region. 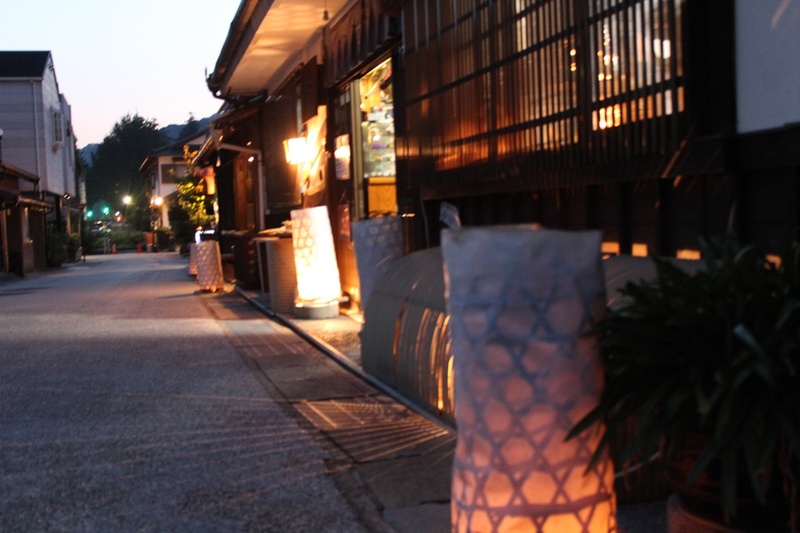 The charming town of Yatsuo is located in the small historic and taste full area in the middle of Hida mountains in Etchu/Toyama. 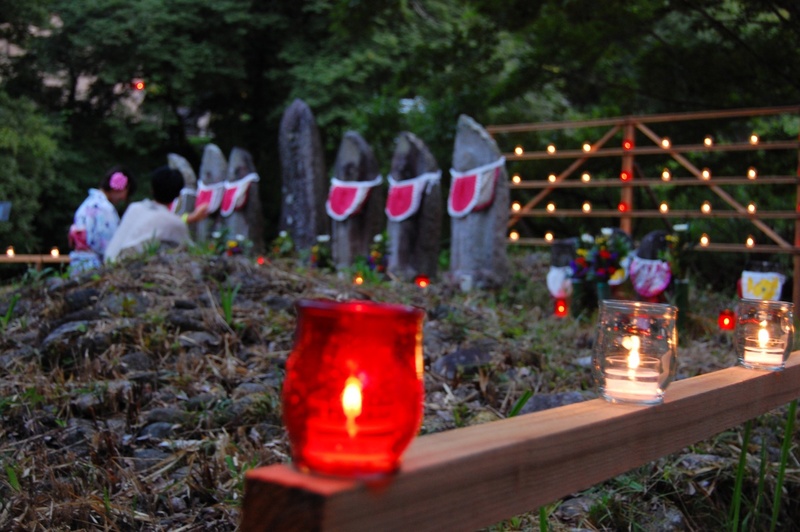 Here in this town exists the a famous festival called “Kaze no Bon” which occurs over the span of three days after the passing of 210 days from the first day of Spring. Over this three-day period people are indulged in this unique folkloric dancing music called “Owara bushi” known to japan for centuries. 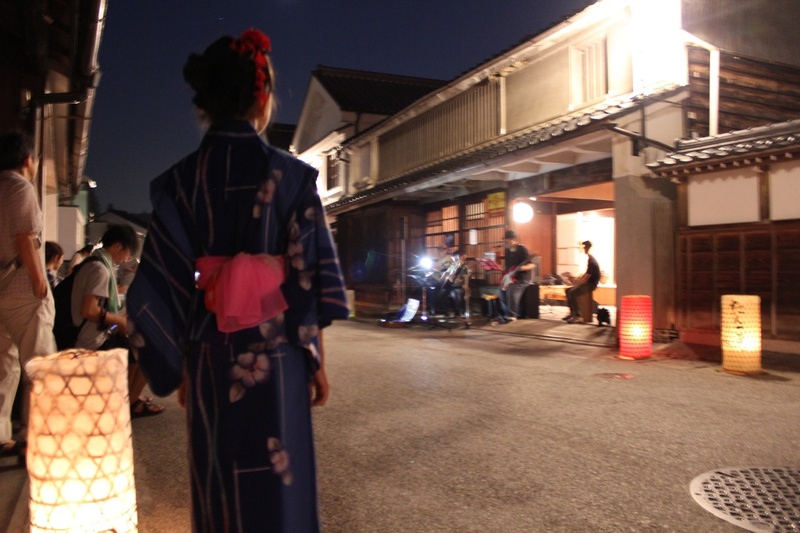 During this period, you have the opportunity to experience this performance of refreshing melodies played by traditional Japanese fiddles “Kokyu” and “Samisen “accompanied by the voices of traditional folklore style singing as they echo throughout the stone paved streets of Yatsuo. 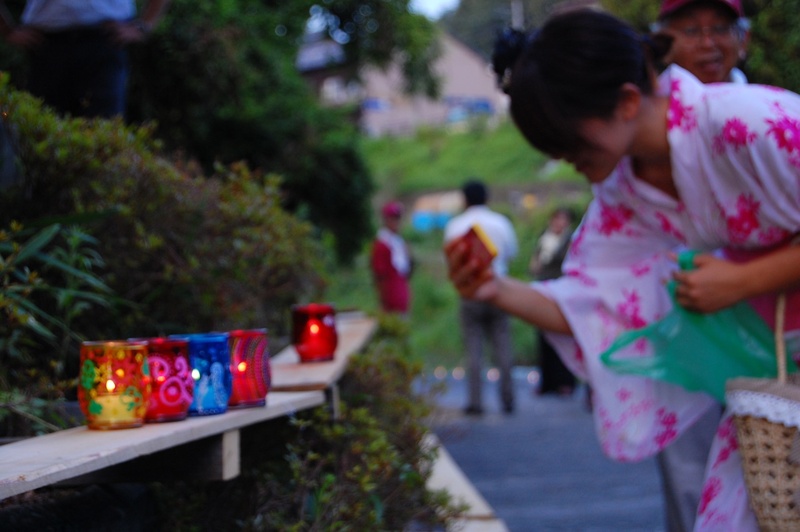 You will see dancers wearing the fascinating “Yukata”, a Japanese traditional Kimono dress for the summer season. Their faces appear and disappear like an illusion under their “Amigasa”, a traditional straw hat and their siluets as they perform under the moon light engaging people’s hearts and minds. Although it does not deliver a flashy performance, due to its unique traditional style that brings nostalgia and beauty, over 20,000 tourists are known to visit this small town with a population of just 2,000. 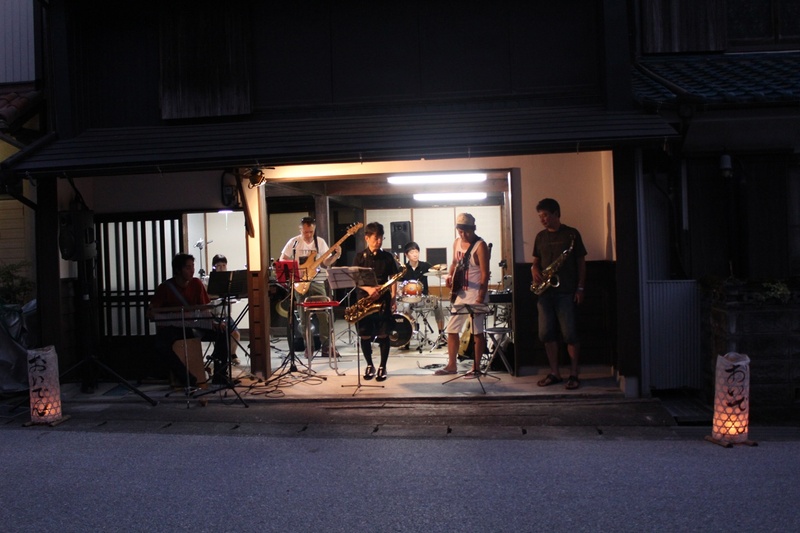 This workshop was funded in 1985 in Yatsuo town to hand down and promote Owara music’s and dancing. Enjoy some fantastic photos of Asuke.